Fixed-term: an agreement will end when the contract says it will end. If the agreement was only intended to last for a few months and expressly states that it will end on a pre-determined date, then the agreement will end on that date. Some agreements provide for a renewal. This renewal can be automatic, in which case you would need to notify the other party if you would rather the agreement terminates (and not renew). Or the renewal can be at the option of one or the other party, in which event you would have to notify the other party if you don’t want the agreement to terminate (and do want it to renew). On notice: another popular feature in agreements is to state that an agreement will end when one party notifies the other party that they intend to terminate the contract. This is often (but not always) either on 30 days or one calendar month’s written notice. 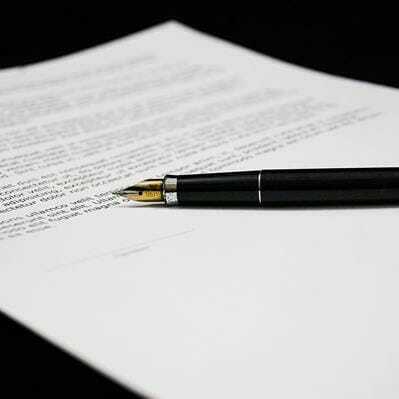 Read your agreement carefully before issuing your termination notice. CPA contracts: a contract that is subject to the Consumer Protection Act can be terminated by the consumer on 20 business days’ notice to the service provider. But tread carefully before you take advantage of this provision. Because if this results in the contract terminating early the service provider can require you to pay a reasonable cancellation penalty for terminating the contract earlier than the ordinally agreed end date. Completion of the transaction: some agreements are formed specifically for a transaction such as the sale of goods or the performance of services. In these instances the agreement will terminate when both parties have fully discharged their obligations in terms of the agreement. Breach: when one party breaches an agreement, the other party can terminate the agreement based on the breach. However, proceed with caution. You will need to review the terms of the agreement very carefully to determine what your rights are when the other party defaults. Typically, a contract would provide for a written demand to be sent to the defaulting party, demanding that they remedy their breach within a certain period. If they fail to do so, you may elect to cancel the agreement should you wish to do so. If the contract is silent, ie. it doesn’t contain a breach clause, you can still terminate on the basis of a breach, after notifying the defaulting party in writing. But whatever the case, you would be well-advised to only cancel an agreement under the guidance of an attorney. If you don’t follow the correct procedure, you could land up being the one breaching the agreement. When entering an agreement, take a moment to think about how the agreement may terminate. And make sure that termination is expressly provided for in the agreement. If you’re at a loss on where to find a written agreement template, hop onto Agreements Online and browse the template contracts and agreements that we have in our store.